The focus of our practice is to treat everyone like family. We want both you and your dog(s) to have an enjoyable visit, each and every time you walk in our door. Rockford Family Vet wants you and your pet to share a long, happy and healthy life together. 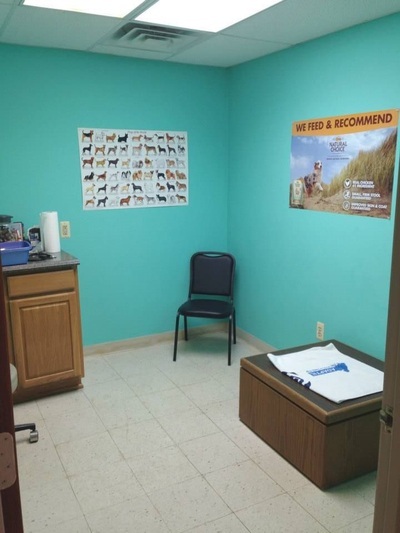 In addition to traditional care for your dogs, we offer a variety of preventative care and treatments to ensure your pet the best quality of life possible. With over 30 years of experience in our practice, we are able to provide you with a personalized experience that joins old-fashioned hospitality with up-to-date treatment methods. Dr. Butler grew up on a dairy farm and graduated from Michigan State University in 1989. She practiced large animal medicine for seven years, before opening up her own practice for eleven years. Dr. Butler has also worked at the State and Federal levels of government in the Department of Agriculture only to realize that her passion lies in working one on one with animals in her own practice. This is when she made her decision to return to private practice, putting her drive and determination for animal health to good use. 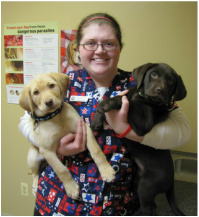 Dr. Butler has two dogs: Lexi (an english springer, gordon setter, german wirehaired pointer mix) & Gunner (a lab). 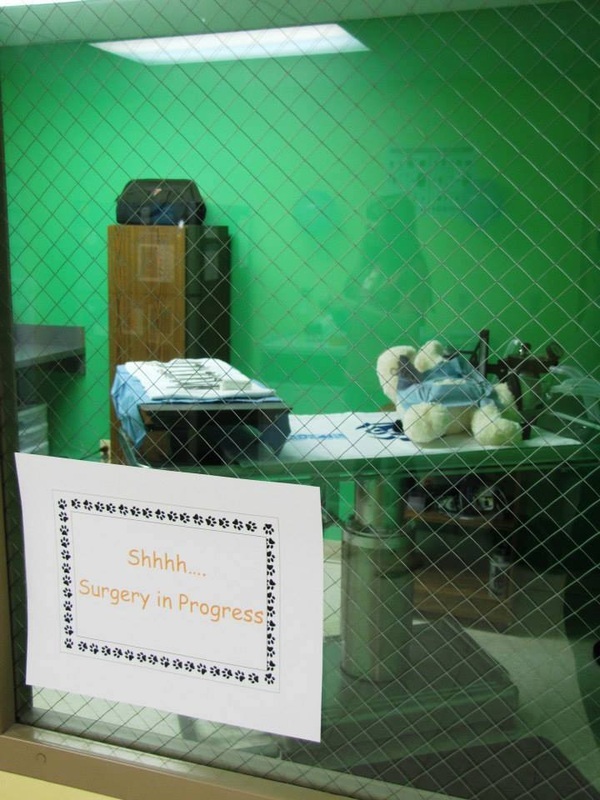 Over the years Dr. Butler has had the following pets: cats, dogs, snakes, rats, mice, cows, birds, fish and bunnies. Abbi grew up around animals working in a veterinary clinic and participating in 4-H for many years. Abbi can be found throughout the clinic; from educating clients to helping with patient care to managing the business side of our clinic and everything else in between. She graduated with her Bachelor's Degree in 2014. 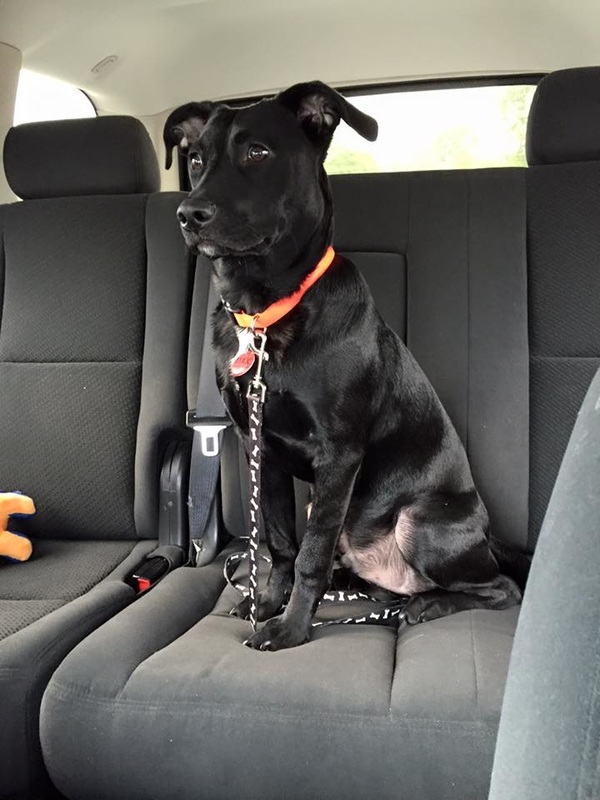 Abbi has 2 dogs: Rocky (a black lab) and Max (a lab mix rescue). Renee joined our team in 2014. She brings both the knowledge and experience of running her family's business, in addition to previously working at a veterinary clinic. 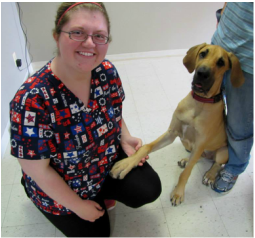 She has a passion for keeping your pets happy and healthy. She performs in a calm and sweet manner that clients and patients both love! Renee is married, has 2 kids, 4 dogs and 3 cats. In her free time, she enjoys gardening, reading and cleaning. 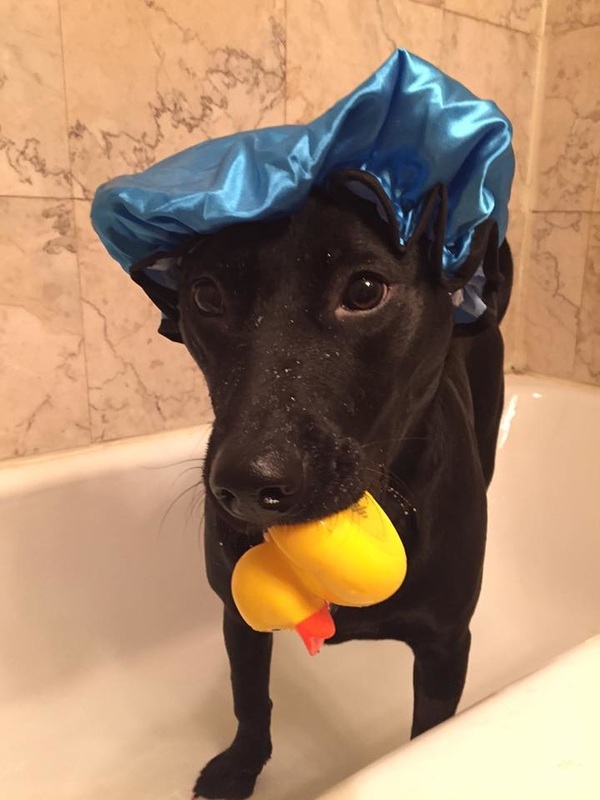 Rocky is a black lab that was born in 2013. He has a very old soul for being young in age and Dr. Butler often refers to him as the “old man”. He is very laid back and easy going. Rocky gets along with everyone that he meets both human and animals. He loves to go for car rides, go for a walk on the trail, play with his friends at daycare, have a spa day at the groomer, run around playing with his siblings in the yard or curled up on the couch binge watching Netflix. Whatever your plans are, he is happy as long as he is spending time with his people. The ideal day for Rocky is sprawled out, relaxing on a freshly washed fuzzy blanket with a brand new antler to chew on. 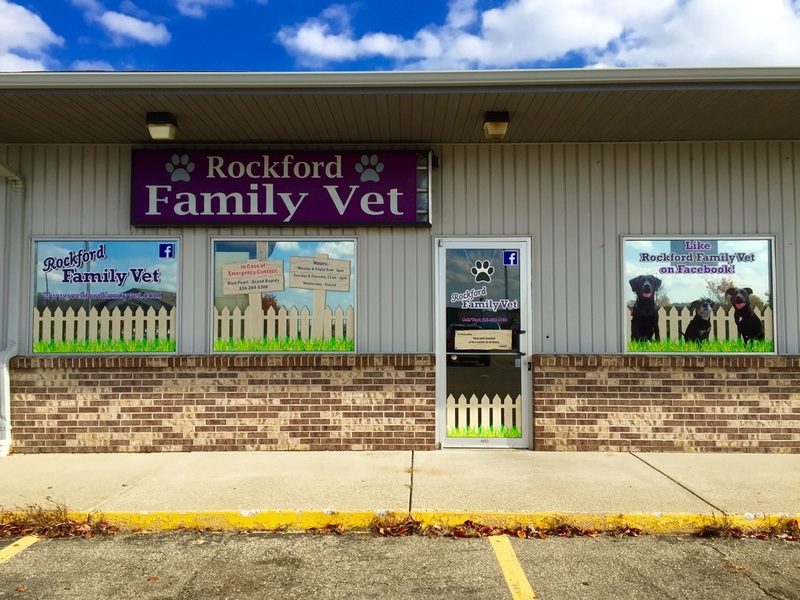 Lexi was born in 2011 and happily joined the Rockford Family Vet team when we first opened in 2013. She is a German Wirehaired Pointer, English Springer Spaniel and Gordon Setter mix, or bird-dog mix for short. Lexi enjoys her job leading internal affairs, because she prefers to work “behind the scenes”, either on the couch in the break room at the clinic or from home. She keeps an eye on what everyone in the office is up to and is happy to try any new treat or food flavors that we receive. In her free time, Lexi enjoys sleeping, snacking and going back to sleep. 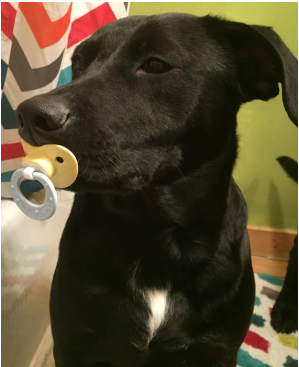 ​Max is a lab mix that was born in 2015 and rescued when he was only 4 weeks old. He has grown up at the clinic since he was just a tiny puppy. Max is all business and takes his job as Chief Security Officer very serious; making sure that everything is where it is supposed to be and hasn’t moved since his last perimeter check. However, he is more likely to run away barking than investigate any potential threat. Max ensures that any treat, bone or toy is secure by burying it anywhere he can find… a blanket, the ground, even the couch cushion! His hobbies include watching TV, dressing up and telling the neighbors to “stay off of my lawn”.